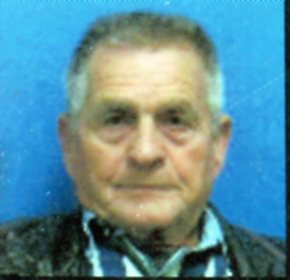 Elmo Harrison, 79, of Connersville passed away Friday morning, April 5, 2019, at Reid Health in Richmond, Indiana. One of twelve children of Allen, Sr. and Dema Lainhart Harrison, Elmo was born in McKee, Kentucky on August 22, 1939. Elmo served his country in the United States Army during the Vietnam era, receiving his honorable discharge on September 22, 1961, having attained the rank of Grade Four Specialist. For many years, Elmo was employed at Design & Manufacturing in Connersville. On October 26, 2013, Elmo married the former Mertha Dunn in Connersville. Mrs. Harrison survives. Along with his wife, he attended Blooming Grove Worship Center. Besides his wife of five years, Mertha Harrison, survivors include two children, Vera Lynn Harrison of Kaufman, Texas and William Douglas Harrison of San Antonio, Texas; several grandchildren and great-grandchildren; a sister, Lois McKinney of Annville, Kentucky; many nieces, nephews and cousins. Elmo is also survived by his step-children, John Dunn and Lisa Dunn, both of Richmond, Michelle Yee of Sunnyville, California, Rodney Dunn of New Paris, Ohio and Angela Cordell of Richmond. He is also blessed with several step-grandchildren and step-great-grandchildren. Elmo was preceded in death by his parents; his first wife, Theresa (Boncek) Harrison, who died August 10, 2013; seven brothers, Everett, Lincoln, Edward, Allen, Charles, Freddie Lee and Burnard Harrison; three sisters, Vera Gross, Dora Lee Whalen, and Jackie Ailene Gay. Family and friends may call from 11:00 a.m. until the time of service at 1:00 p.m. on Thursday, April 11, 2019, at Miller, Moster, Robbins Funeral Home, 1704 N. Grand Avenue, Connersville, Indiana 47331. Reverend Robert Lee will officiate. 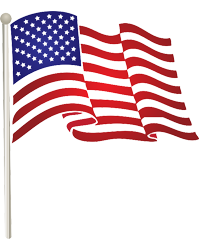 Military honors will be conducted by the Fayette County Veterans Council. Online condolences may be made anytime at millermosterrobbins.com.